Philip Margolis, 91, beloved husband of the late Clare nee LaBar for 54 years; loving father of Lynda (the late Michael) Buti, David (Diane) Margolis, Susan (Carl) Weldon and the late Joy Ann Margolis; cherished Grandpa and Papa of Shanna, Holly (Andy), Eva, Danny, Amanda and Kara; adored great grandfather of Freya; dear brother of the late Isabelle LeBurkien and Joan (Bernie) Leavitt; many loving nieces and nephews; Chapel service, Tuesday 12:15 PM at Shalom Memorial Funeral Home, 1700 W. Rand Road, Arlington Heights. Interment Randhill Park Cemetery. In lieu of flowers, memorial donations may be made to the American Heart Association or the Breast Cancer Research Foundation. 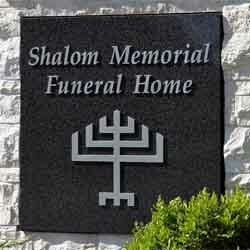 For information or to leave condolences, (847) 255-3520 or www.shalom2.com. Sorry to hear of the passing of Phil Margolis. My condolences to the entire Margolis family, especially David. R.I.P. Our deepest condolences to Susan, Lynda, Dave and the rest of the extended Margolis family. May cherished memories help you through this sad time. Phil was one of kind.... in kindness, friendship, generosity... the mold was broken now with his passing... Honored to know Phil. May God remember the soul of Philip J. Margolis who has passed to eternal rest. O God, I pray that you will keep the soul of my dear______________ united with us in the bond of life. In his/her memory, guide me so that I will live righteously, fulfilling Your will and serving our people. May his/her soul rest in peace and be remembered as a blessing. O God, as I remember, Philip J. Margolis I pray that I may emulate all that was good and righteous in his/her life. May his/her soul be given eternal life and his/her memory always remain a comfort and source of inspiration. A link has been broken in the chain that has bound us together, yet strong bonds of home and love hold us each to the other and we give thanks for the blessing of life, of companionship, and of memory.